As many of us get our glad rags on, paint our faces, prepare to throw 2018 in the bin and welcome 2019 with open arms, many lucky citizens of the world have already cracked out Auld Lang Syne and are living in the future. Take Sydney, Australia, for example. Those awesome Antipodeans are living in 2019 already, while some of us are barely out of our pyjamas, still stuck in December 2018. FOMO, much? 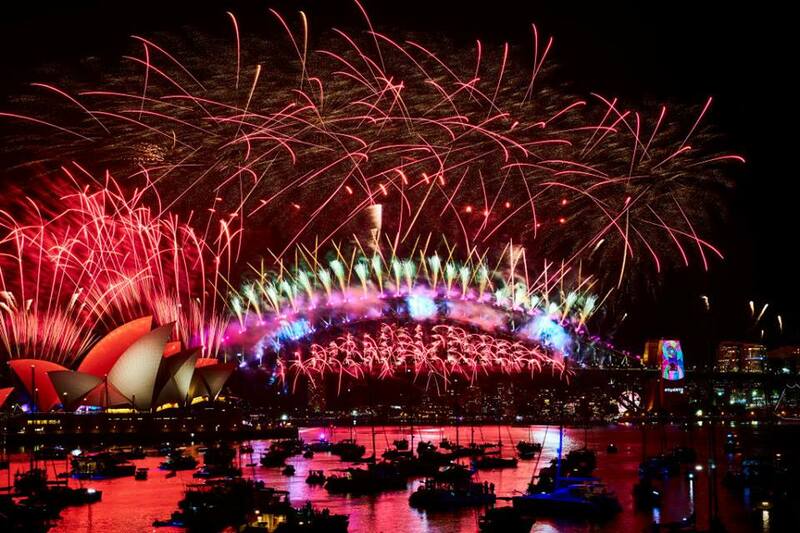 More than one million people came out to Sydney harbour to watch the spectacular annual firework display. 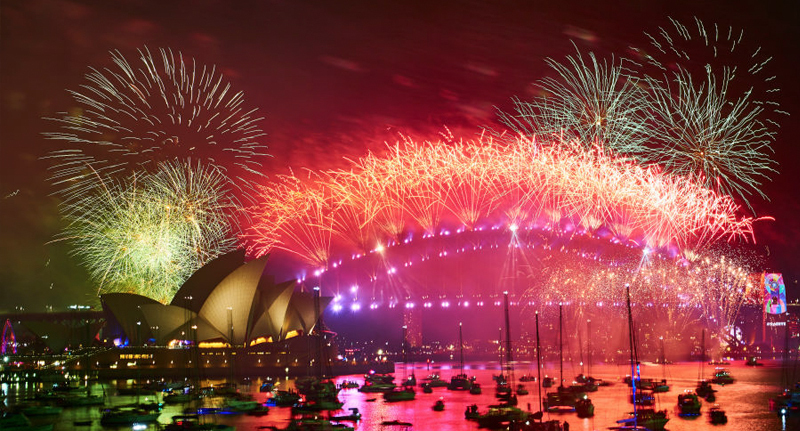 Around 100,000 individual pyrotechnic effects were used to light up the night sky above the harbour and Sydney Opera House, welcoming in 2019 in style. The theme of the display was ‘Pulse of Sydney’, inspired by the city’s multicultural heritage. 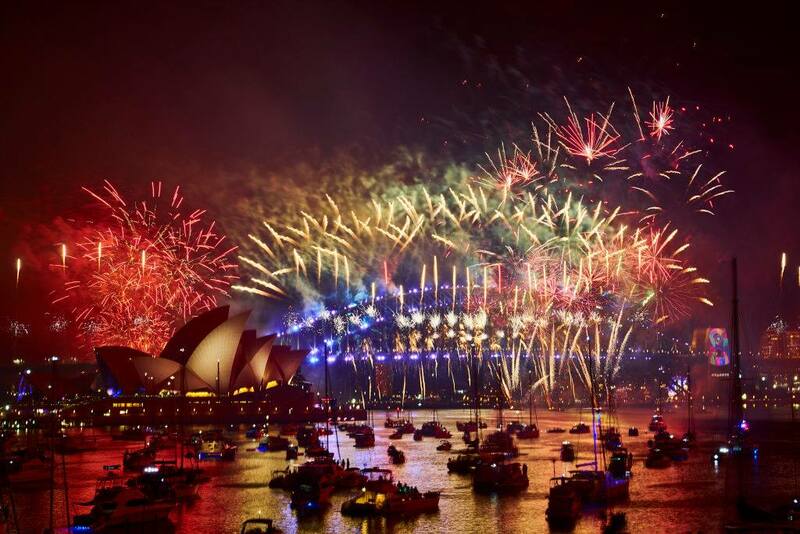 There were eight pontoons parallel to the harbour bridge, as well as four barges, from which the firework display was launched, according to MailOnline. The epic firework display also included a tribute to the late Aretha Franklin, which saw cascades of gold and silver fireworks in the sky, as part of the 12-minute-long celebration. As well as the people present at the harbour, it is estimated that around a billion people around the world watched the colourful display. Revellers who got to the harbour early, around 7pm, unfortunately got rather wet while waiting, as rain drenched the foreshore. However, the skies cleared just in time, and the explosive display went off without a hitch. Further south, in Melbourne, hundreds of thousands of people gathered to watch 14 tonnes of fireworks set off from the top of 22 different buildings in the city. While Australia dazzles us with their fireworks, there are other parts of the world even further in the future, who have been living in 2019 for some time now. Samoa, Tonga and Kirimati – also known as Christmas Island – are the first places in the world to welcome in the New Year. While American Samoa and the Marquesas Islands are among the last places to count down to midnight. On the other side of the world, Edinburgh, in Scotland, prepares for its annual Hogmanay. With the dreaded Brexit on the horizon, organisers of the Hogmanay have said their event this year will celebrate the ties between Scotland and Europe. The traditional, three-day party sees bands, DJs, dancers, acrobats and street performers from Scotland and across Europe performing on various stages, as well as in the streets, throughout the city, as The Guardian reports. While further south, in London, Big Ben will take a break from the repair works it has been subject to since 2017, and temporary bells will ring in the New Year from inside the scaffolding, as party-goers take to the South Bank to watch the English capital’s firework display. Wherever you are and however you’re celebrating – Happy New Year! Here’s to 2019, let’s make it a good one.